British Ambassador to Iraq, Jon Wilks, British Consul General to Erbil, Martin Warr, and an accompanying delegation visited on Saturday, January 12, the main headquarters of the Change Movement ( Gorran) in Sulaimani. 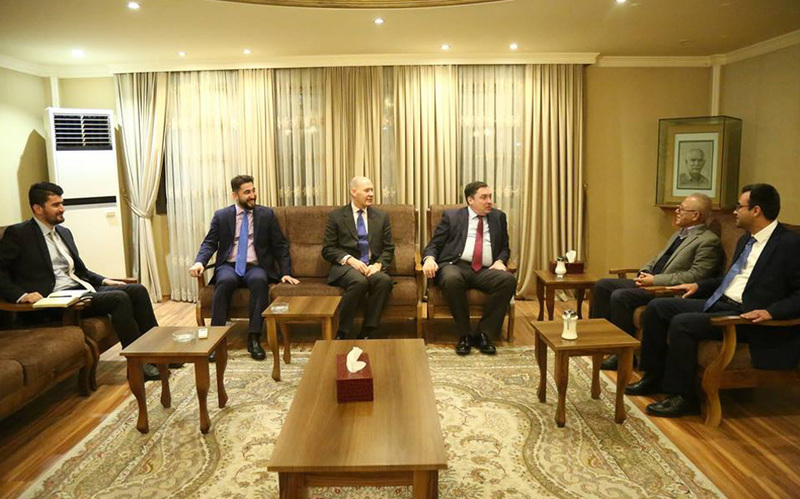 The UK top diplomats were received by Mohammad Tofiq Raheem, member of the executive body and Hoshyar Omer Ali, Coordinator of the diplomatic relations department and other members of diplomatic relations of the Movement. During a meeting, the two sides discussed the political situation in Iraq and forming the new KRG cabinet where Gorran delegates have reiterated that both options of joining the new KRG cabinet or joining the opposition remain open.